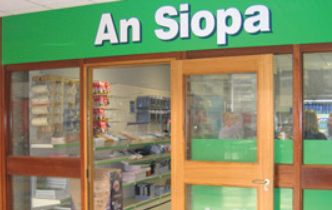 An Siopa, located in the West Atrium, An Siopa is an ideal convenience store stocking drinks, sweets, snacks, phone credit, tea/coffee, newspapers, some groceries and a great range of stationery. The Nexus Market in the Student Centre, located downstairs in the Nexus Student Centre, is a large retail area selling everything from sweets, drinks and snacks to deli hot/cold food items to groceries, stationery and CIT merchandise. Particular types of stationery required for your classes can be ordered in advance. The Nexus is also the college bookshop; books required for your course can be ordered through the bookshop and are available off the shelf to buy. Books need to be ordered well in advance. Opening and closing hours for the retail outlets can vary from one academic year to the next therefore it is best to check out the times on the Student Services site on the CIT webpage.